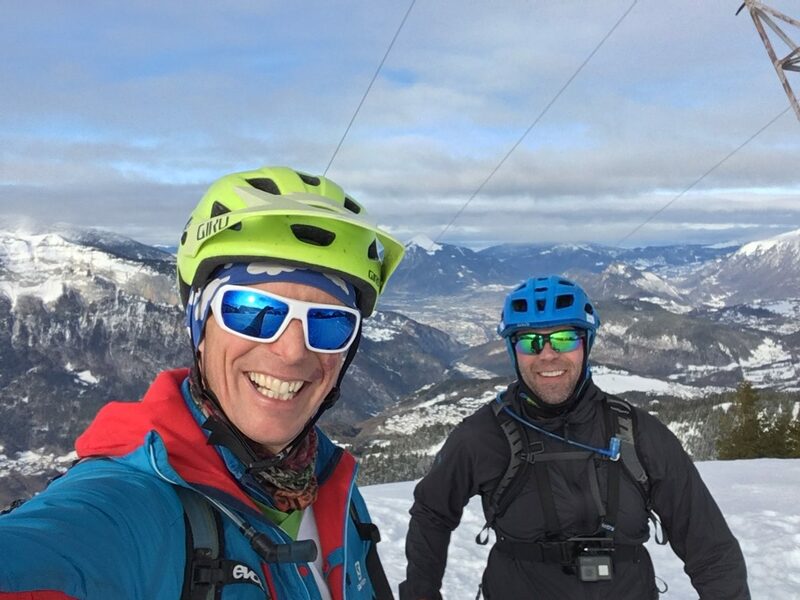 Mid-winter conditions in the Alps are amazing right now for pretty much any winter sport of your choosing. We’ve had some very hefty snowfalls throughout January so everywhere has great coverage, right down to the valley floor. 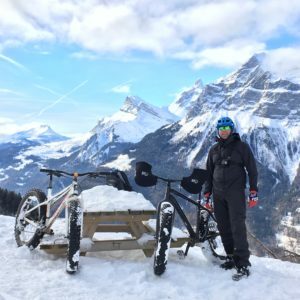 Every day of the week you can select a different snow sport from fat biking to alpine skiing to cross country skiing to snowshoeing to tobogganing. Conditions really don’t get any better than this. It was such a beautiful day today that Jamie and I put work aside nipped out for an afternoon ride along the valley floor. The riverside trails are perfectly compacted which makes for some great snowy singletrack through the woods. The valley is picture-perfect right now. A genuine winter wonderland! 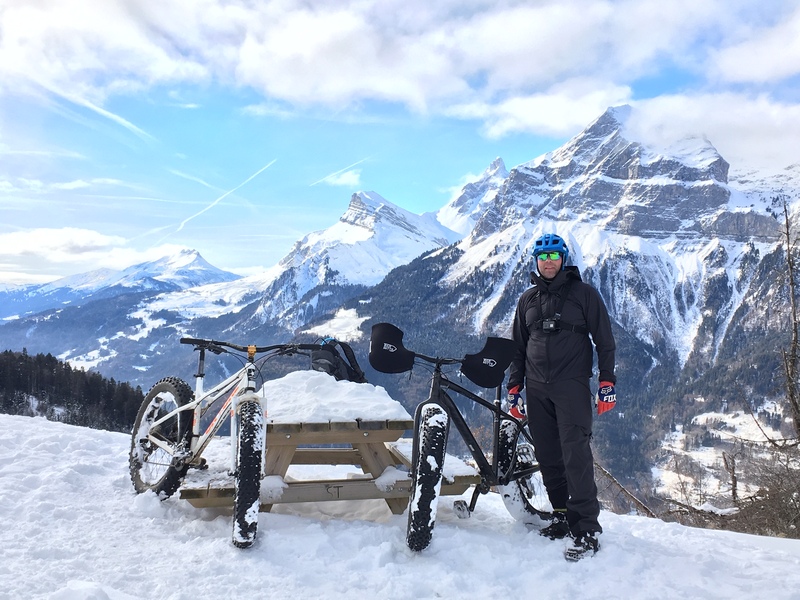 Last week Jamie took one of our guests out for a ride across the Grand Massif starting in Flaine and finishing at our front door in Morillon. It was a great winter point-to-point day ride showcasing some of the best views and winter trails in the area. It can be about this time of year when many of us start to think longingly of Spring and light evenings and riding bikes with the warmth of the sun on our backs. 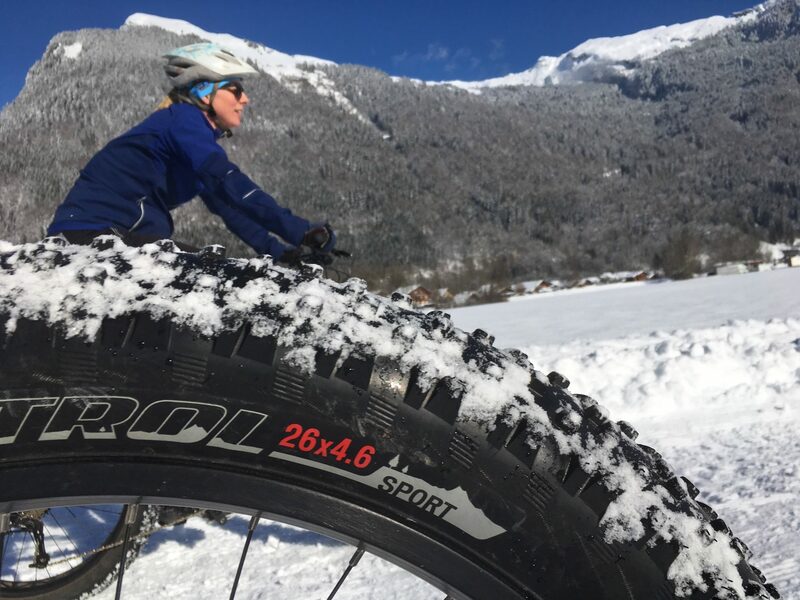 Why not beat the mid-winter blues with a pre-Brexit fatbike trip from 25th-28th March! 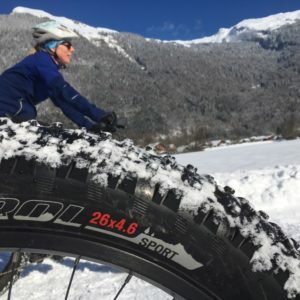 It’s the last available slot in our apartment this winter and we will give you a 25% discount on the accommodation if you book 2 days of guided fat biking with us. Contact Mary for details if you are interested. Looking ahead to summer our high season is almost full. We have just 3 weeks of availability left from June-September: 2nd-8th June, 27th July-3rd August and 22nd-30th August. Outside of the peak season we have plenty of availability in May and October, which are two of our favourite months of the year. 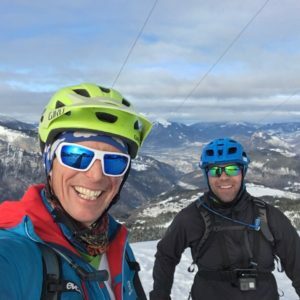 The weather is often warm and sunny and you can ride all day on amazing singletrack and not see a soul. Get in touch with Mary if you’re interested in riding with us this summer.